With technology that keeps evolving, home entertainment has never been so exciting. We’re here to help you find the ideal TV, whatever you love to watch and however you love to watch it. Explore Smart 4K Ultra HD TVs that give you more entertainment options. OLED screens deliver premium picture quality across a wider viewing angle. High Dynamic Range (HDR) produces spectacular true-to-life images with incredible contrast and colours. QLED TVs deliver stunningly realistic images, with over a billion unique colours. Whatever screen size you’re looking for, you’ll find a unique selection that ‘Our Experts Love’ for their innovative features. 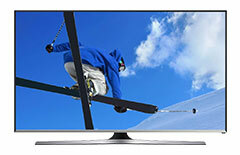 Check out our TV and entertainment buying guides to find the right devices for you. Our large screen TVs range in size from 32” to 85”, so you can find the perfect screen to suit your room. 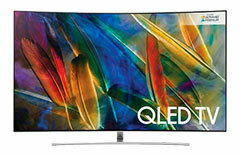 Look out for Smart TV features that provide access to the best content the internet has to offer, and 4K Ultra HD TVs including QLED TVs for the latest in picture quality. With up to 4 times the resolution of Full HD, you can experience every fluid pass and near-save in razor sharp detail in 4K. 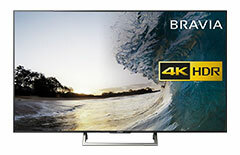 4K showcases a vibrant spectrum of colours in spectacular depth - allowing you to completely immerse yourself in the atmosphere and action right from your armchair. We asked Ian Wright and a group of real football fans to put 4K to the test and see if it really delivers the experience it promises. Watch more from Ian Wright on YouTube or learn more about 4K technology. 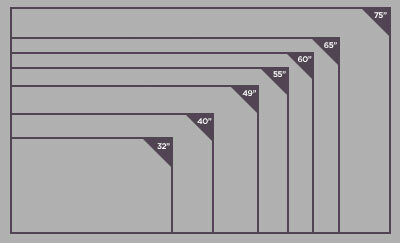 Larger screen sizes unlock the full potential of 4K Ultra HD but do you know what’s right for you? Find the right TV to make the most of your match day, with help from our buying guide. Watching TV is more comfortable and natural than ever with a curved 4K TV. A wider, more cinematic viewing area gives you improved comfort and reduced eye and neck strain since these TVs are designed for the viewing distance in your living room. You’ll be able to sit closer and surround yourself with the screen without losing sight of any part of the image. See images in stunning detail from multiple angles and appreciate HD at its finest with razor-sharp 4K images and colour. Light reflections are reduced for improved contrast and a crisper picture - curved 4K TVs also feature advanced processing and back-lit panels for smoother images and more compelling viewing. A curved TV looks great whether on or off and adds a subtle yet stunning accent to any room, whether on a stand or wall-mounted. It's the ultimate in home viewing technology. 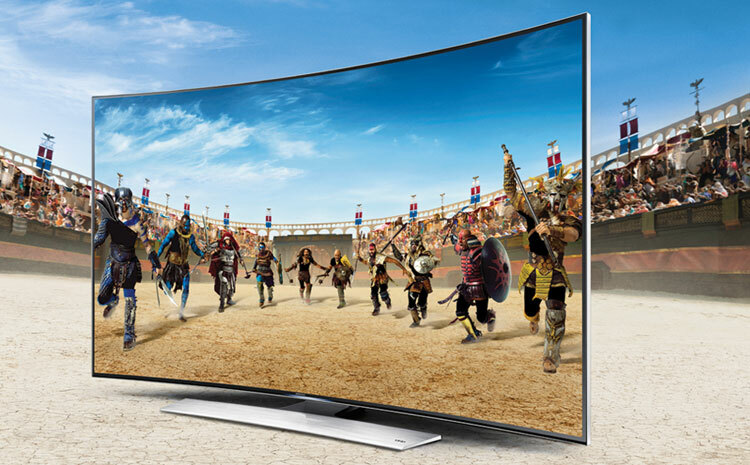 Let us guide you through the features of our 4K Curved TVs to find the very best viewing experience. 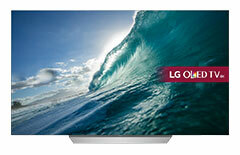 Take a look at the latest screen technology with thinner screens and sharper picture quality. With QLED, all shades all shades of colour are brought to life achieving 100% colour volume*. Exceptional brightness delivers bold contrast, night and day. With deeper blacks, OLED TVs bring a huge range of contrast to your screen, giving stand out to colours and detail. 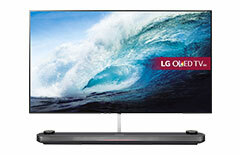 LED TVs offer great value viewing, with excellent brightness and contrast. High Dynamic Range (HDR) is a superior standard of content, it ensures a wider range of colour accuracy, brighter whites, and deeper blacks, producing real life colour and detail. 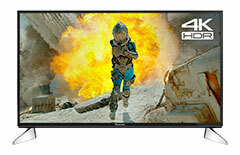 To get the best HDR experience you need a TV that can achieve the highest brightness levels. 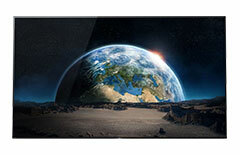 Look for a TV that can achieve the highest brightness level, so that you can enjoy movies as the creators intended. Offering exceptional levels of detail. 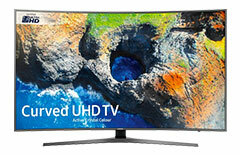 Ultra HD 4K TVs display four times the detail of a Full HD. This is the entry standard of picture quality, offering four times the detail of standard definition. 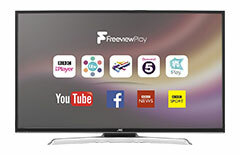 Smart TV’s offer catch up and streaming services like BBC iPlayer, Netflix and Amazon Prime directly on your TV. You'll get the best out of these with a higher speed broadband connection. You can access 4K content through streaming services or we can help you find a TV package featuring everything from sports to movies in ultra high definition..
Add another dimension of sound with Dolby Atmos, putting you in the very centre of the action with audio coming from above as well as all around. Choose a soundbar complete with separate subwoofer giving a balance of audio and rich bass. Or upgrade to a stunning cinematic experience from an all-in-one soundbar solution, with customisable options such as as a subwoofer or rear speakers, so you can tailor to your unique tastes. We have great looking TV stands, easy to install space saving wall mounts and every cable you'll ever need. The experts at Team Knowhow can help you achieve the perfect TV set-up, whether it's on a stand or wall mounted. For peace of mind, protect your new TV with a repair and support plan from Team Knowhow. They will fix or repair your kit should something go wrong.